It’s the biggest party on the side of Rio! 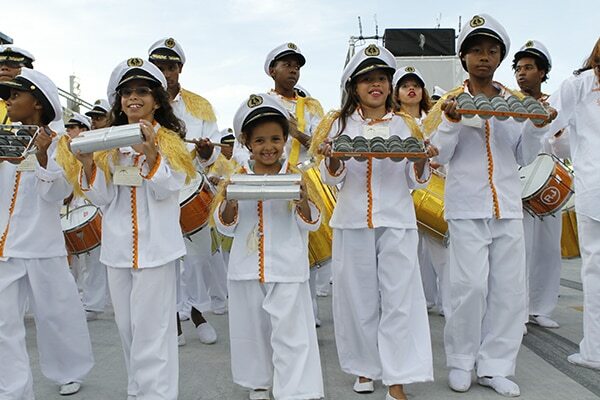 The Carnival of Brazil would probably the most well-known and the biggest celebrate carnival of today. 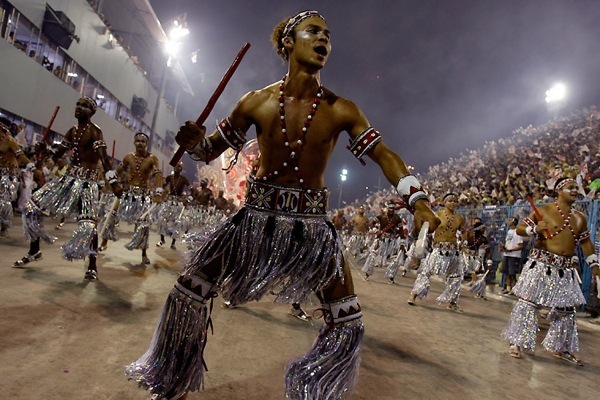 People flock to Rio de Janiero just to experience the humongous celebration that is the Carnaval. 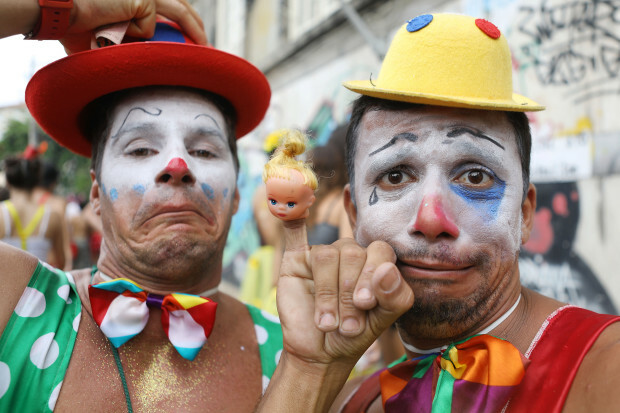 Like many carnivals, the Carnival of Brazil is celebrated before the fasting season of Lent. But let’s be honest, most people are in it for the dazzling costumes and wonderful displays. 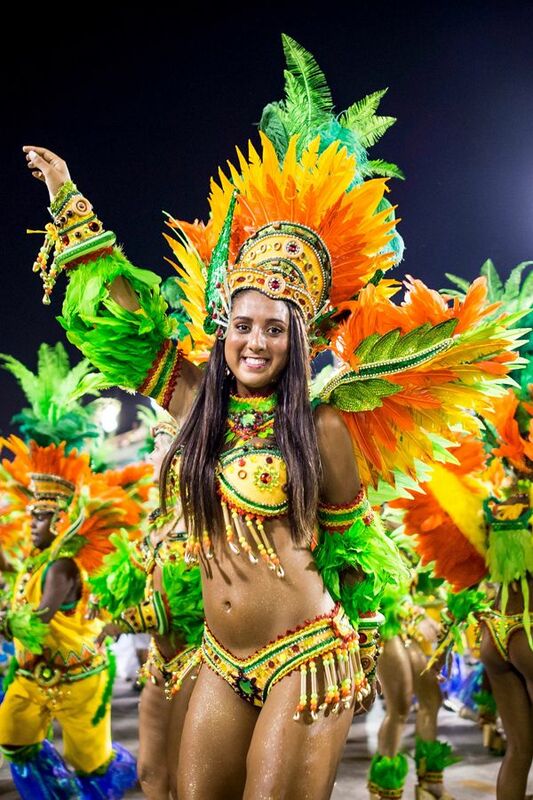 If there is one thing the Carnival of Brazil is known for, it’s for their beautifully dressed women. Think large feather wings and intricately designed bikinis and you’d probably have a good idea of what the women look like. Dazzle the crowd with your bright, gold number! Channel the island paradise vibe with a beaded ensemble! Wow the people with your shiningly detailed get-up! Take inspiration from superheroes, and create a Wonder Woman costume! Shiny crystals and gigantic feathered wings aren’t needed to look great for the parade! 1 Feather Carnival Headdress Wear your headdress and be part of the parade! 2 Carnival Belly Dance Suit Join and wow the crowd with this belly dance suit. 3 Face Gems & Glitter Bedeck your face in all the glittering glory! 4 EVA Foam You might need the foam to construct your costume. 5 Colorful Feathers Use the feathers to create your wings! 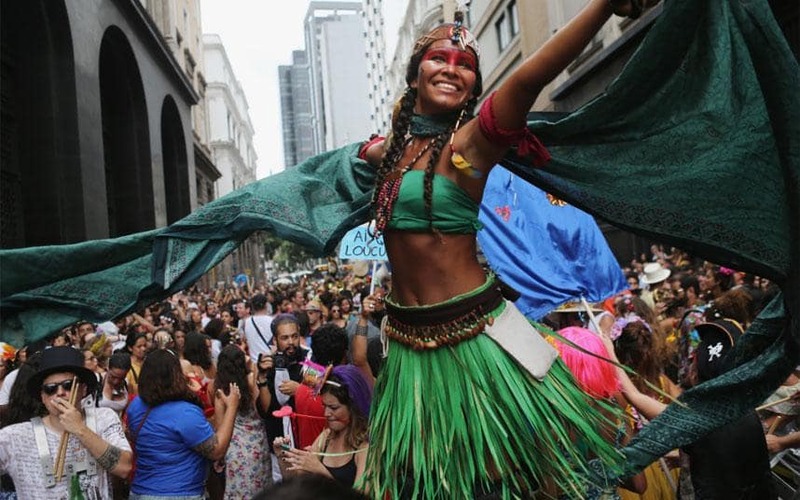 Women aren’t the only participants of the Carnival of Brazil, especially now that the LGBT community loves to join the party. 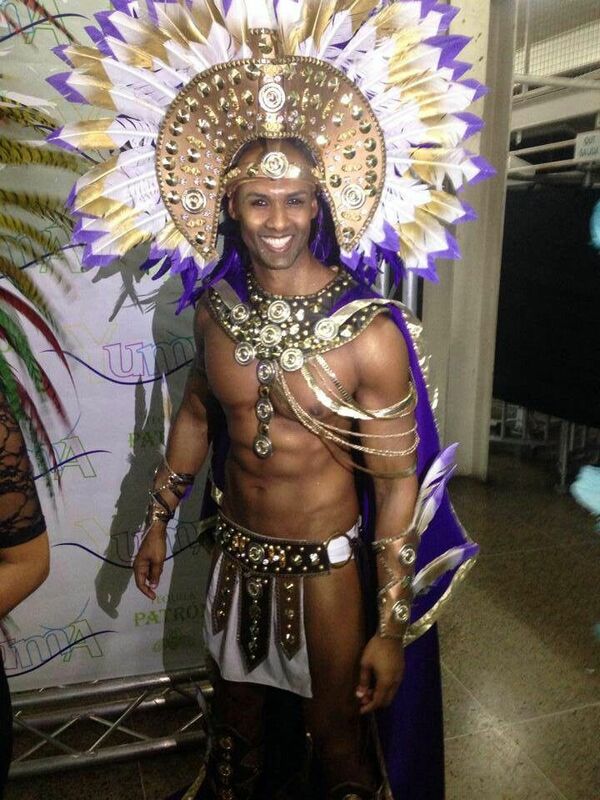 Men could wear whatever they want and have just as much fun as everyone else! Add a touch of Roman toughness with this attire! Go with a simpler outfit and paint your face for more fun! Balance the dark parts of your costume with ultra-bright colors! Create a costume made for moving around! Wear wacky outfits that are bright and fun! 1 Gladiator Costume Release the warrior in you with this costume set. 2 Rainbow Umbrella Double the use: part of your costume plus protection from rain! 4 Face Paint Paint your face however you want! 5 Classic Clown Hat Make people laugh with your adorable clown hat! 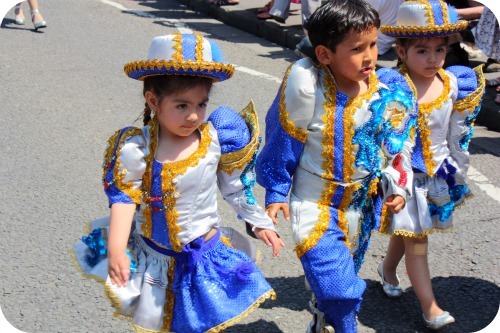 While people might argue that the Carnaval is a mostly adult party, the day parades can be joined by your kids. So make sure they’re dressed up! Look bright and ready with this hot pink ensemble! Simple costumes are alright, especially if you’re already performing with your instrument! Shine bright and channel the rainbow with your group of friends! 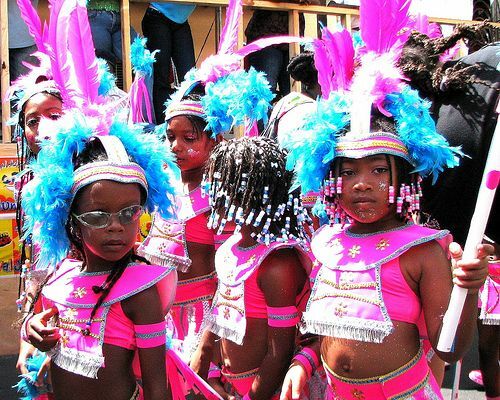 Walk the parade and win over the crowd with your cuteness! Wear all the colors you want and just have fun! 1 Kids Flowy Skirt Let your little girl wear a flowy skirt to the parade! 2 Kids Shiny Top & Skirt Combo Be ready to dance the salsa in this shiny number! 3 LED Costume Wings Have fun with light-up wings! 4 Baby Brazil Bodysuit with Tutu Celebrate the Carnival of Brazil with this cute Brazil bodysuit! 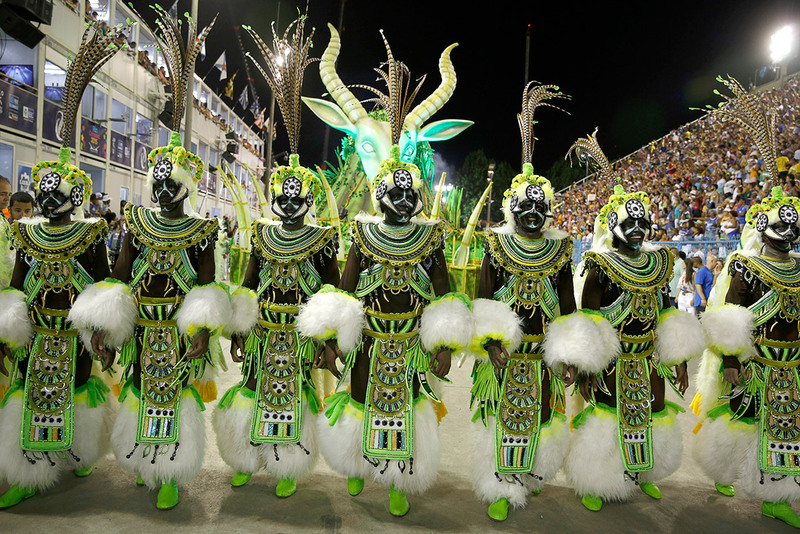 The Carnaval do Brasil is the largest carnival in the world. It is of Roman Catholic descent, and is a celebration before Lent and its fasting practices. It is annually celebrated from the Friday before Ash Wednesday until the midday of Ash Wednesday. 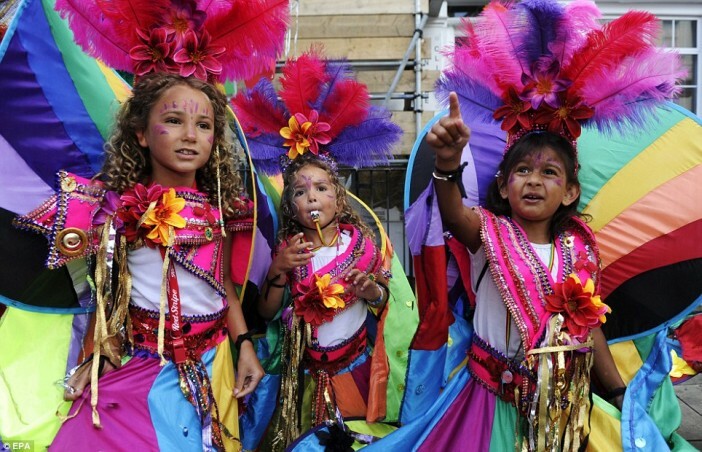 In 2011, almost 5 million flocked together to celebrate the carnival. Unlike Halloween which shows more death-related outfits like zombie and blood, Mardi Gras revels in bright, colorful, and zesty costumes. Three different locations celebrating one people! 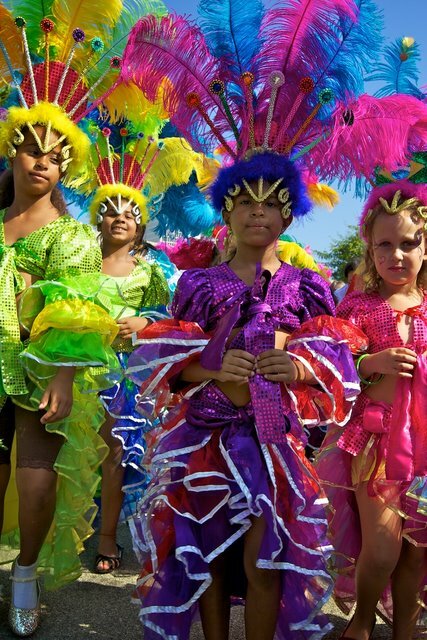 Join the people of the Caribbean islands and indulge in their colorful parades and exciting festivities!